So I said I would report back on my half-term reading. Nancy Huston is amazing. Can’t recommend Fault Lines highly enough. Brilliant accumulative narrative told across four generations where each relative gives you just an extra piece of puzzle until it suddenly all fits. One of the best attempts to tackle the aftermath of the Holocaust I’ve ever seen in fiction. Brilliant. Less exciting was Kate Kerrigan’s The Miracle of Grace, a mother-daughter cancer story (sorry to put it like that but that’s what it is). I enjoyed it and it made me want to read more of her stuff. But it didn’t blow me away. Jacquelyn Mitchard’s Cage of Stars? Very readable Jodi Picoult-style nonsense. Loved it at the time. Afterwards “meh” always sets in. And Anne Fine’s Fly in the Ointment: witty, tight, misanthropic tale of a woman who tries to make her life come good after messing up too many times. There was something exciting going on here but it never quite came to life and I got quite annoyed by the end of it. Huston beats everyone hands down, slam dunk. Can’t wait for her new novel, Infrared, out end July. Book Shelf: Is it OK to read old books? No. I am talking about whether it’s OK to read books published a year or two ago which you have never got round to reading and which have been sitting on your shelf looking unloved. Like, in my case, books by Nancy Huston. If they are so great then why haven’t you already made time to read them? This sounds like a crazy question but it’s not. I devote a lot of time — the time it takes to read about 100+ books a year for review — to reading new books, just-published books or books not out for another six months. For an already-published book to get added to that schedule, it has to be good. It takes a lot for me to return to something which has come out a couple of years ago and no-one is talking about anymore. I’m fastidious about throwing out (a) books I’ve already read and (b) books I would really like to read but know that I will never actually get round to reading. Most recently Claire Tomalin’s biography of Charles Dickens fell into this category. Yes, I really want to read it. Yes, I hung onto it for six months and didn’t read it. And, yes, it is in the window of my local charity shop. Life is short and you have to be realistic. So what are the titles I did hang on to, knowing I would read them one day and two or three years later, that day has finally come? Kate Kerrigan’s The Miracle of Grace, a mother-daughter love story. 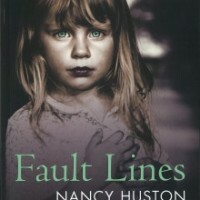 Nancy Huston’s Fault Lines, a psychological thriller spanning four generations. Anne Fine’s Fly in the Ointment, a novel about a determined mother or something like that. (I’m not actually sure why I hung onto this one. 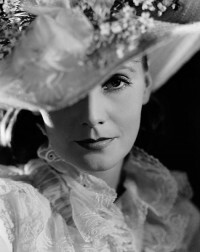 Someone whose opinion I respect must have told me that Anne Fine is good.) And Jacquelyn Mitchard’s Cage of Stars which does not look like my kind of thing at all and has a Jodi Picoult recommendation on the front. But I am trying to be more open in my reading choices at the moment. I will report back. I left Jonathan Franzen’s new collection of non-fiction at home in favour of these four novels, so at least one of them had better be good. I swear this to you upon my jumpsuited life. The second you start looking for jumpsuits, THEY’RE EVERYWHERE. Jennifer Lopez’s choice of outfit for the finale of American Idol? Jumpsuit. Sweden’s winning entry for the Eurovision? Jumpsuit. Leanne, the winner of BBC1’s The Voice? When she sang This is a Man’s World? Jumpsuit. I mean, this is the dress’s, the dress’s, the dress’s world. But it wouldn’t mean nothing, nothing — no, not one little thing! — without the occasional jumpsuit. Or a playsuit. We will ignore the fact that I am temporarily retired from wearing jumpsuits myself at the moment because my derriere is too large. It wasn’t always this way. Working on it, OK? Working on it. 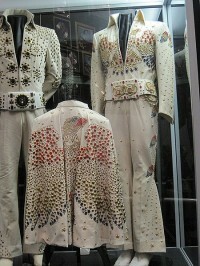 Elvis jumpsuits pic by Thomas R Machnitzki. Spouse has accused me of being “demented” about the Orange prize. Couldn’t sleep after it was announced. Not because I didn’t like the book that won, The Song of Achilles by new, uber-talented author, 33 year-old Madeline Miller. No, I did like it. In fact I gave a glowing review of it in the Independent on Sunday which was quoted all over the post-prize coverage as proof of what a great book it is. But as much as I had enjoyed the book I had mixed feelings about it winning the prize. The problem with this year’s Orange list is a problem any prize would envy: it was a very strong shortlist. Plus, two of the biggest contenders – the strongest contenders in my view – had previously won the Orange (Ann Patchett for Bel Canto) and the Booker (Anne Enright for The Gathering). Personally, I would have given the prize to Anne Enright for The Forgotten Waltz, pictured. (Spouse points out: “Yes, but no-one is asking you, are they?” Fair point.) This is a heart-stoppingly brilliant novel about fidelity, lust and self-delusion, a modern re-write of Madame Bovary for the tracker mortgage generation. It’s a book that rewrites the rules of fiction and reminds you how special reading is. I can understand why the judges voted for The Song of Achilles. And in any case they made it known that the decision was not unanimous. Madeline Miller is a great writer and it’s a great book. There were other, more experienced writers on the list who have had their time in the sun. Why not reward a new talent? 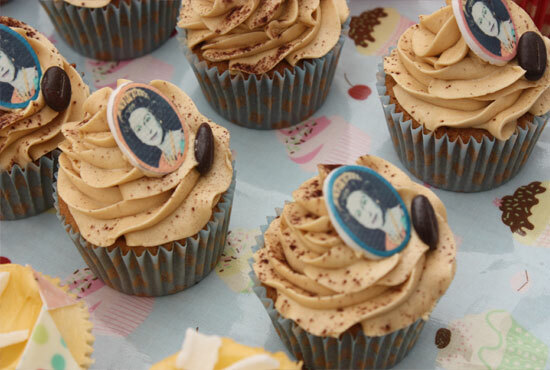 Which is great for Orange anyway, as prize committees like to look as if they’ve discovered a new voice. But… But.. This is why I couldn’t sleep. It just wasn’t the best book on the list. And, worse, I don’t think it’s the best book Madeline Miller will write. Nor it is even her Bel Canto. Achilles is a miracle of a first novel, a stunningly original debut which is cleverly marketed towards people who know nothing about Greek mythology and think that by reading it they will feel much more clever. (And I know what I’m talking about because this is exactly how I felt when I read it.) But it’s not a Great Book. And Orange should only reward Great Books. 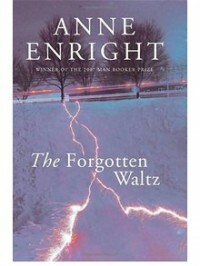 Anne Enright’s The Forgotten Waltz is that book. I’ll shut up now because my husband has had enough. Hooray! It’s Red Book Club! Top five choices for July issue… The New Republic by Lionel Shriver, a quirky witty novel about terrorism and the life of the foreign correspondent. I felt a bit bad choosing this as Shriver wrote it over a decade ago and is only now getting it published because… Well, basically, she can get anything she wants published now. But I’m the biggest fan of her writing and will lap up anything she does. Even her mad tennis novel, Double Fault, which everyone else hated. I have only ever met one other person who liked it. It was like meeting my long-lost twin. Other choices for July: The Painted Bridge by Wendy Wallace, an atmospheric Victorian story about a woman in a mental asylum which reminded me of Maggie O’Farrell’s The Vanishing of Esme Lennox. 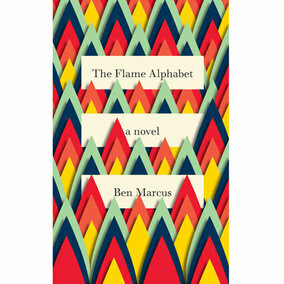 The Flame Alphabet by Ben Marcus (pictured above), which is the weirdest, freakiest, most brilliant idea, a futuristic novel about what happens when parents start to be poisoned by the words and speech of their children. I said it was freaky. I was amazed Red were happy for me to put this in, but quirky, difficult novels are having a bit of a moment and it’s good to have something a bit different in the mix. And finally… in the book of the month slot is Park Lane by Frances Osborne. I put this in against my better judgement because (a) it’s a decent read and (b) I knew everyone would be talking about it and a lot of Red readers would want to know about it. It seems unfair to hold the author’s husband, George, against her… Or does it? Novelist Jenny Colgan tweets that someone once put up their hand at a Q&A she was doing at a book festival to ask this immortal question. “Excuse me, but who are you?” I’ve heard this repeatedly from authors. It happens a lot. 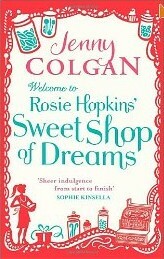 Even very well-known authors suffer from it, as Colgan proves. They’ve all been somewhere off my radar until suddenly I have “discovered” them only to find that millions of others “discovered” them before me and they are massively famous and I’m just the last one to turn up at the party wearing the wrong dress and feeling like an idiot. In some ways, though, I love the idea behind “Excuse me, but who are you?” Why should readers know who someone is just because they’ve written a successful book? We can’t all know about everything. One of the reasons I got so into Tim Parks – and bought up his entire back catalogue in one mammoth Amazon session – was because I met him at a books event, had no idea who he was, got talking to him and he told me all about his latest book, Teach Us to Sit Still, without expecting me to know anything about what he had done previously. Imagine my embarrassment when I got home, Googled him and realised he had written fourteen successful novels. What a class act not to mention that small detail. Humiliated. Mortified. Fan for life.